Tracy Sugarman, the Westport artist, author and chronicler of the American civil-rights movement, died Sunday, January 20, 2013, at age 91. A Westport resident for more than 60 years, Sugarman was one of the nation's most prolific illustrators for more than a half century, documenting major news events with his sketch pad and drawing illustrations for hundreds of magazines, books and record covers. With a rare talent for both images and words, Sugarman also wrote several books, including three dealing with the struggle for civil rights in the 1960s South. He is survived by his wife, Gloria Cole Sugarman, and two children from a previous marriage. "He was one of the great illustrators," said Helen Klisser During, the director of visual arts at the Westport Arts Center. "He was not only a skilled draftsman; he brought emotion to his work." "He's left a great legacy," she said. Sugarman's illustrations graced the pages of The Saturday Evening Post, Ladies Home Journal, Colliers Magazine, Forbes and many other magazines, plus hundreds of children's books. His painting "The Heroes of Nine-Eleven," is on permanent display in Washington, D.C. and his painting of the rollout of the Space Shuttle Columbia is part of NASA's pictorial history at Cape Kennedy. His collection of art from World War II was acquired by the Veterans History Project, a program of the American Folklife Center at the Library of Congress. As a visual journalist, he covered the seething Rikers Island jail for the New York Times and the Malcom X trial for the Saturday Evening Post. Some of his most iconic work involved the civil-rights movement in the 1960s. The arts' center's During said he was "revered as an esteemed artist of the highest order." Sugarman was born in 1921 in Syracuse, N.Y., and as a naval officer in World War II led troops in the amphibious D Day assault on Normandy. From his war experiences, Sugarman wrote the memoir "My War: A Love Story in Letters and Drawings." The civil-rights struggles of the 1960s inspired three more books -- including two chronicles of events and a late-in-life novel published in 2009. "Stranger at the Gate -- A Summer in Mississippi" recounts the so-called "Freedom Summer" in 1964, when more than 1,000 volunteers went to Mississippi to register voters and run freedom schools. The summers or 1964 and 1965 inspired a second book -- "We Had Sneakers, They Had Guns: The Kids Who Fought for Civil Rights in Mississippi" -- which chronicled the civil-rights work of white college students, hundreds of whom were arrested an many of whom were beaten. His experiences in the south also inspired "Nobody Said Amen," a novel published in 2009 when Sugarman was 88. It prompted his wife Gloria to refer to him as "the oldest first novelist in the world," a distinction not literally true but pretty close. Sugarman moved to Westport in 1950 and lived here until his death. He was known locally as a generous humanitarian and a man of grace and wit. The town honored him for his war service in 2011, naming him Grand Marshal of the Memorial Day Parade. He remained active and visible in town into his 90s, and news of his death surprised those who knew him as fit and active. During remembers Sugarman as being "incredibly fit. You'd never know he was 91." Given Sugarman's devotion to civil rights, During said it was ironic that he should die during a weekend when the nation was celebrating the memory of its most iconic civil rights figure -- the Rev. Martin Luther King. 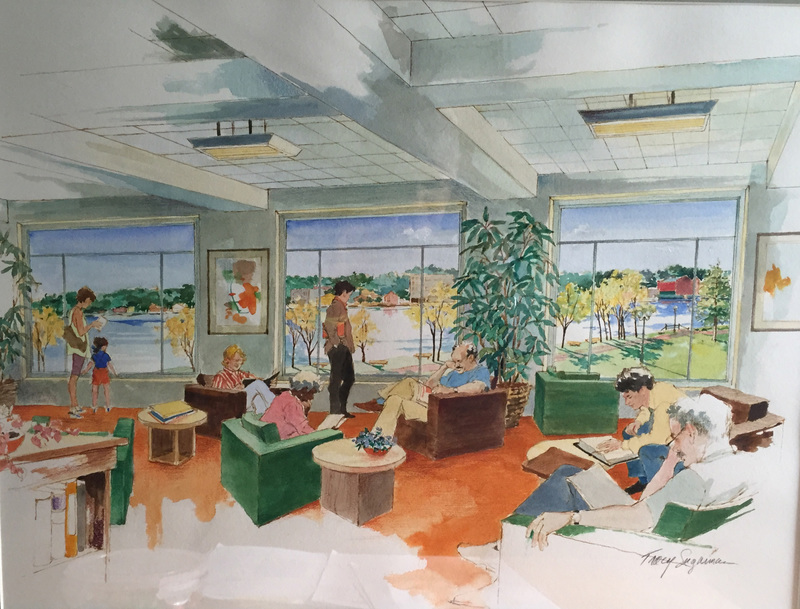 Sugarman, Tracy A., “Reading Room,” Westport Public Schools Digital Collections, accessed April 24, 2019, https://collections.westportps.org/items/show/1562.